Tim Tech’s SAP consultants will work with you to design, plan and execute your enterprise mobility strategy using our mobile consulting and development services. 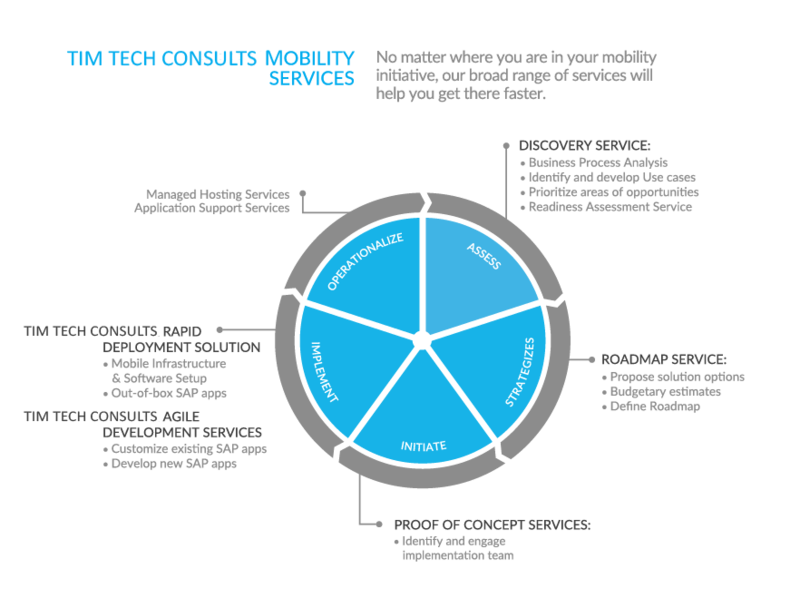 From discovery and readiness assessments to rapid-deployment solutions, we have the tools and expertise you need to reach your mobility goals – faster. SAP certified Rapid deployment Solutions Tim Tech’s mobility solutions include: SAP software, predefined services, preconfigured content, and can be deployed on Cloud or on Premise. In as little as 5 weeks you can achieve a working solution. SAP Afaria Tim Tech implemented SAP Afaria mobile device management for the leading luxury audio manufacturer in 1 week deployed on the Tim Tech Consults managed cloud.